Cairo as a vibrant hub for start-ups? With the RiseUp Summit 2016, start-up entrepreneurs and investors proved that this is true, since they came together in the heart of Cairo for this inspiring gathering of the scene. Held annually since 2013 in the Egyptian capital, the summit evolved into the major event for entrepreneurship and start-ups in Africa and the Middle Eastern region. 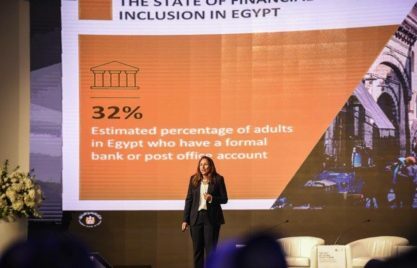 According to the organizers, an estimated 4300 participants, including about 1200 entrepreneurs and more than 120 investors, gathered from December 9th to 11th on the premises of the American University Cairo and the Greek Campus. The summit boasted numerous panel discussions and workshops on entrepreneurship know-how, science and tech innovations, as well as on diverse topics and challenges of start-up businesses in the area of cleantech, the creative economy and fintech. Furthermore, the summit brought together entrepreneurs and investors with the aim to expand their networks and to help them to get inspiration for innovation and growth opportunities. As one of the partners of the RiseUp Summit 2016, GIZ contributed to the event in several ways. A highlight of the RiseUp Summit 2016 certainly was the rollout of the business angels network Alexandria Angels. As its Cairene counterpart Cairo Angels, the networks aims to connect private investors to facilitate exchange and mutual learning between them. 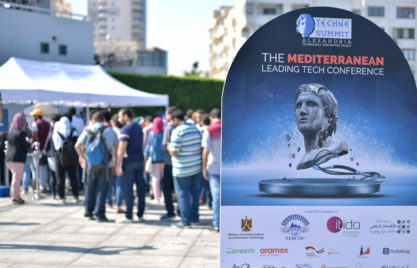 Tarek El Kady, founder of “Techne Summit” announced the launch of “Alexandria Angels”, the first Alexandria based Angel Network. Consisting of a select group of founding members, all experienced in business and enthusiastic about entrepreneurship in Alexandria, the newly established network seeks to invest in promising, high-growth startups in Alexandria and the Nile delta region from mid-2017 onwards. GIZ’s Promoting Access to Financial Services for Small and Medium Enterprises (PAFSME) supported the founding partners in the launch of the Alexandria Angel network and will assist in the development of a capable business angels network in Alexandria. Another highlight of the summit was the Explore Competition. 24 start-ups pitched their business models in front of a jury of experienced investors and start-up entrepreneurs in a three minutes long presentation and a two minutes long Q&A. The winners of the competition were awarded trips to Berlin, funded by GIZ and to Silicon Valley, funded by the World Bank. 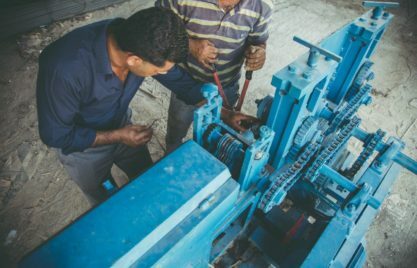 This year’s summit again marked the dynamic start-up scene in the MENA region and stressed out Cairo as the major hub for entrepreneurs in innovative sectors for the coming years. Despite all adversities start-ups in the MENA region face, the summit not only demonstrated how vibrant the scene of young businesses in the region is. It also showed how issues that the world and the MENA region in particular struggles with are addressed by start-ups and investors. Certainly, challenges for entrepreneurs stood at the centre of the summit. However, topics such as climate change, women’s economic empowerment or poverty reduction through employment promotion were also on the agenda. A great share of the start-ups and of the investors point out how solutions could look like and offer approaches to deal with these problems from an entrepreneur’s perspective. The dialogue between start-ups, investors as well as government bodies and international development cooperation proves to be fruitful and should be pursued for future endeavours in advancing the issues for a sustainable economic development in the region.